Welcome Welcome to our 2019 collection of great value for money Day Trips. It's sometimes surprising to find out just how far you can go in a day and what fun you can have without having to pack a suitcase! As always, we believe that we have put together a really exciting range of affordable fun-packed trips for you to choose from. Whether it be a family fun-filled day out, a shopping adventure, a sightseeing excursion or even a trip to get you into the festive spirit, then Leisuretime has it covered. Why Travel With Us? Direct Coach Travel: Once you’re on a Leisuretime trip, you’re on! You travel direct from one of our convenient pick-up points to your destination, without any need to change coaches en route. A Great Team: From our friendly and knowledgeable reservations staff to our seasoned, professional drivers, our lovely team is committed to providing you with the highest level of customer service and expert coach trip knowledge to make sure you have a fabulous time. Our Coaches: We believe that your day out starts as soon as you board your coach and our vehicles are selected for their comfort, safety and reliability. So sit back, relax and start planning your next day trip with Leisuretime, safe in the knowledge that we’ve taken care of everything. Travel Direct on all trips - Making more of your leisure time! New Quay, West Wales - 'Dolphin Country'! £29	£27 £26 New Quay, West Wales 'Dolphin Country'! New Quay’s picturesque houses, pubs, and restaurants cling to the sides of the hills rising above the blue waters of Cardigan Bay on the coast of West Wales. The town was once important for fishing and shipbuilding with wooden boats being built on the beaches. The sheltered harbour and golden beaches are the focus of activity in the summer when New Quay becomes a bustling and vibrant holiday resort where sailing, fishing, water sports, and relaxation, are among the main attractions. Bottlenose Dolphins are regularly seen swimming and diving as they follow the shoals of mackerel into the bay. For the chance of a great view of these beautiful creatures stand at the end of the Quay. (A mystery day trip to a seaside resort) We are a nation of seaside lovers, not surprising considering that we live on one of the world’s most diverse and beautiful islands! Join us on a day out to the seaside - not too near and not too far - where we can kick off our shoes, get some sun on our faces and enjoy all that we love about our fabulous seaside resorts. Tenby is probably the most iconic seaside town in Wales, rivalling places like Mevagissey and Polperro for quaintness and charm. This pretty seaside town has three great beaches; north, south and castle, each with its own character and all facing in different directions so at least you'll be sheltered if it is windy! OR Saundersfoot is a small seaside resort in between Tenby and Amroth. It is much more compact than Tenby with charm and character of its own that is well worth exploring, particularly for those a little less energetic. The main attraction, though, is it’s long, wide and sandy beach. Weston-super-Mare Experience the very best of Somerset from one of the best British seaside resorts. Weston-super-Mare seafront has recently undergone a huge transformation, the main focal point of which is the spectacular new Grand Pier, but it still embraces everything you would expect from a traditional resort including great beaches, plenty of things to do and of course, donkeys! The Weston-super-Mare experience doesn’t just start and end on the beach, there’s plenty more in and around the town too, with an abundance of parks and green spaces, shops and places of interest. We travel to Devil's Bridge where we join historic Rheidol Railway and travel through 12 miles of stunning scenery to Aberystwyth. This famous seaside resort boasts the oldest pier in Wales, a mile long Victorian promenade, the world’s largest Camera Obscura, the longest cliff railway in Britain and is foodie heaven. After free time here, we join our coach and return home. Enjoy a fabulous day of shopping and culture without travelling too far from home! Bath is deservedly regarded as one of the most beautiful cities in the world and has been designated a UNESCO World Heritage site. Nourished by hot springs, Bath offers stunning architecture, great shopping and iconic attractions. Lacock village is a firm favourite for film and tv producers, most notably for its picturesque streets and historic cottages, untouched by modern alterations. The village's most famous appearances include ‘Downton Abbey’, the BBC’s ‘Pride and Prejudice’ and the films ‘Harry Potter and the Half-Blood Prince’ and ‘Wolfman’. Gloucester Tall Ships The historic Gloucester Docks will be shown in all their splendour over the Spring Bank Holiday weekend as they host the Gloucester Tall Ships & Adventure Festival. Chock full of fabulous activities for all the family to enjoy, adventures from the high seas and bygone days will be brought to life at this award-winning festival. Hereford Hereford is a lovely city with a lively feel. There are lots of things to do, not least indulging in some shopping! Wander around the independent stores in the historical centre and call in to the prestigious Old Market, built on the site of the old livestock market. A visit to the 13th Century Mappa Mundi at Hereford Cathedral is a must. It’s the largest medieval map of the world in existence! Don’t miss dropping into The Cider Museum to find out how this ‘golden amber’ is produced. We make our way to Moreton-in-Marsh to visit the traditional Tuesday market which is the largest in the Cotswolds. After some free time here, we make our way to beautiful Bourton-on-the-Water, perhaps one of the most famous locations in the Cotswolds and renowned for its pretty waterside eateries and quaint limestone buildings. A lovely day out. Best known as the birthplace of England’s most famous bard, William Shakespeare, Stratford-upon-Avon is a pretty historic market town situated on the banks of the River Avon and a popular tourist destination attracting over three million visitors a year. With its beautiful surroundings, wide range of tourist attractions and great shopping, it’s not hard to see why this town is such a hit with coach trip visitors. Abergavenny Market Day A visit to Abergavenny can really feel like a break away from it all - feel time slowing down as you unwind and take in the fresh mountain air and beautiful scenery of the Usk Valley. The Tuesday Market is well known as one of the major markets in Wales with visitors coming from far and wide to enjoy the traditional indoor & outdoor market with over 200 stands selling a huge range of goods. Once a busy dock where sailors and merchants would trade goods and set sail for voyages of discovery, Bristol now buzzes with waterside restaurants and bars and a whole host of sports and activities. Stroll around the water’s edge and you will find Millennium Square - a fantastic central hub with its fountains and big screen - as well as world-class attractions such as Brunel’s SS Great Britain, We The Curious, Bristol Aquarium, Arnolfini, Spike Island, Watershed and M Shed. Cadbury Heritage Tour & Cream Tea Enjoy a fascinating tour of Bournville on board your coach with a member of Cadbury's heritage team. Discover the Cadbury brothers' vision of a 'Factory in a Garden' and view examples of beautiful architecture, the unique village green and pretty tree-lined streets, before taking a guided tour of the Cadbury World exhibition. Gloucester Quays Set in a stunning waterside location, Gloucester Quays is the city’s thriving leisure quarter and is a great day out for the whole family. There is so much for everyone to see and explore whatever your age or interests. Whether it's enjoying a local ale in a waterfront bar, dining in style at one of the buzzing restaurants or catching a family film at the multi-screen cinema there really is something for everyone! Hay-on-Wye Market Day Barely bigger than a village but with all the personality of a market town, Hay-on-Wye, world-famous for its book shops, is a pleasant place to wander on any day of the week. There’s even more on offer on Thursday mornings, when local traders sell organic food and drink, antiques, ethnic clothing and gifts from their stalls in the Memorial Square, Butter Market and around the Town Clock. A traditional May Fair with a large variety of rides, amusements, food and drink options all set in a perfect and historic town. Ludlow Market Day From its ancient Castle to its peaceful back streets, exploring the perfect historic town of Ludlow is a real pleasure. A lively friendly feel combines with over 800 years of history. Many cafés, bars, shops, beautiful & fascinating architecture and greenery all around means a visit to Ludlow will not disappoint. Take a look around the local market and perhaps try something new? This fabulous festival is set inside the atmospheric Ludlow Castle which itself is located in the heart of lovely Ludlow. More than 180 local food and drink producers and suppliers of real food, ale, cider, wine and more from the Marches, with samples, tastings, entertainment, and fun. The architecture is gobsmackingly beautiful in Oxford. From the golden, stately university buildings to the atmospheric 13thcentury pubs, wander through the cobbled streets, punt on the river and let the beauty of the city sweep you away. This gorgeous city has also been the backdrop to a huge number of TV shows and films - the most famous is probably the Inspector Morse series. Use your time in the heart of this city to immerse yourself in Oxford's rich and diverse culture. Trago Merthyr Opened in 2018 Trago Merthyr is home to 200,000 square feet of retail therapy, with thousands of bargains at unbeatable everyday lowest prices! Hungry shoppers can refuel between bargain hunting at The Brickworks Café & Coffee Bar, which offers a tasty selection of light snacks and hearty meals or you can simply tuck into a slice of cake with a refreshing cuppa. Alternatively, try the fish and chips at For Cod’s Sake! Wells on Market Day Visit Wells in Somerset with its historic centre, the magnificent cathedral and the unique moated Bishop’s Palace. The market has many different stalls selling fine foods, fruit and vegetables, lovely clothing, handbags & purses, books, jigsaw puzzles and many other unusual items suitable for Christmas and birthday presents. The mammal collection at the zoo numbers around 300, representing 50 species including okapis, which Bristol was one of the first zoos in the world to breed, Asiatic lions, pygmy hippos and red pandas. Among species now on view at Bristol, which are rare or absent in other UK zoos, are Livingstone fruit bats and successful breeding groups of western lowland gorillas and aye-ayes. Take a walk on the WILD SIDE! Stroll around the Park and get eye-to-eye with giraffes, watch rhinos graze on the Gothic Manor House lawns, walk with lemurs or take a ride on Bella the Train. The stunning gardens and themed borders make a beautiful backdrop to the stars of the show - the animals and with over 260 different species of animals in over 120 acres of Parkland, there’s plenty of space to relax and get closer to wildlife! £37	£34 £29 Travel Direct on all trips - Making more of your leisure time! Folly Farm isn’t just a farm; it’s a zoo with lions, giraffes & rhinos, an indoor vintage funfair as well as a whole host of indoor and outdoor adventure experiences. Mesmerise yourself with over 250 animals, along with many rare breeds and baby farm animals. New to Folly Farm is the Penguin Coast, a state-ofthe-art salt-water penguin enclosure – a fun-filled day for all the family. The UK's No. 1 safari park! Enter a land of adventure. Where lions roam, tigers stalk and monkeys swing in the UK’s first and many would say best wildlife park. Main Square houses a huge array of fascinating creatures from the ends of the earth plus so much more. The backdrop to all this is Longleat House, an amazing example of high Elizabethan architecture and the truly stunning gardens designed by the renowned Capability Brown. This is Longleat. Jump in! Celebrate all things autumnal throughout the October half term holidays. Set amidst the stunning scenery of Longleat’s Capability Brown-landscaped parkland, The Great British Autumn showcases traditional activities associated with the season of mists and mellow fruitfulness including apple pressing, pumpkin carving and chainsaw art.! The spooky Ghost Tours, which see visitors exploring creepy corridors and unseen attics in search of some of Longleat House’s ghoulish residents, are returning for another year. This winter, stunning Chinese lanterns will light up Longleat as they take you on A Fantastic Voyage! Marvel as you and their heroes discover wondrous scenes, from the exotic to the glacial, filled with astonishing creatures, magnificent scenery and sensational modes of transportation, as you embark on this epic adventure. Monkey World Enjoy a fun-filled, fascinating day out for all the family at Monkey World – Ape Rescue Centre in Wareham. The 65-acre park is home to the stars of TV’s ‘Monkey Life’ and ‘Monkey Business’, and provides sanctuary for rescued and endangered primates from around the world. Some are now part of international breeding programmes for endangered species including Europe’s official orang-utan crèche! It’s Peppa Pig’s very own theme Park! Come and visit the world’s largest and first Peppa Pig World with 9 rides! Meet Peppa and all her friends, the cartoon's most popular character's appear every day with their loving fans on the veranda in front of the school house. Two brand new Peppa Pig World rides are now open: The Queen’s Flying Coach Ride will take families on a tour around the newly extended part of Peppa Pig World in individual coaches on a monorail that starts from the top of the Queen’s castle, a signature point of the attraction. Children and parents will also be able to hop aboard boats at Grampy Rabbit’s Sailing Club where they can cruise along the new water route around Peppa Pig World and discover Pirate Island. Let Warwick Castle deliver the castle of your imagination, whether you’re a 6-year-old princess/prince or a 60 year old re-enactor Warwick castle will provide a fun, action-packed day out for all the family. Experience a full day out with more than 1,100 years of jaw-dropping history, magic, myth. You can explore the Battlements, towers and the awesome interiors of the Great Hall. There are shows and activities available every day which includes Warwick's spectacular birds of prey display & Time Tower to name a few. £39	£37 £36 Travel Direct on all trips - Making more of your leisure time! West Midlands Safari Park Are you ready to go on Safari and come face to face with some of the fastest, tallest and cutest animals around? Then join our day out to West Midland Safari Park, home to some of the world’s most beautiful and endangered exotic species. There is a Safari Drive Through, theme park and for your own little explorers, a dedicated Tiny Tots area with 7 rides and attractions designed for the smaller guest! Abergavenny Food Festival Called the 'Cannes of Food Festivals', the beautiful Brecon Beacons market town of Abergavenny hosts the best of Welsh, British and international producers, alongside a wide variety of top chefs, entertainment and demonstrations. This wonderful show celebrates the very best of gardening in the UK and is packed with inspiration and colour. The Grand Floral Pavilion will be full of the UK’s finest nurseries and growers giving you expert advice and ideas for your garden. The shopping village will feature an abundance of trade stands selling everything from unique garden gazebos, greenhouses and arbours to beautiful flowers, gardening sundries and hundreds of other products from over 250 of the UK’s leading exhibitors. Does not include admission to the house. Deserved winner of multiple awards, this bright and brash carnival has everything that you would want from a spectacular Guy Fawkes event! A fabulous procession, seasonal food and drink and – of course – a spectacular fireworks display. Please note: Afternoon departure & arrive home in the early hours. Bristol Balloon Fiesta Night Glow Free Admission The Bristol Balloon Fiesta is a world-class hot air ballooning festival, held in the rolling hills of Ashton Court on the edge of Bristol. The most iconic part of the Fiesta are the Nightglows and Firework Finales. At 9pm a handful of the balloons tether and light up the night’s sky to a specially commissioned soundtrack. The Great British Food Festival Taking some of the finest regional artisan producers, hot food, real ale, and wine bars, craft and gift stalls, children’s entertainment, foraging walks, and amazing scenery, top chef demos, cake competitions and the popular Men vs Food, all accompanied by excellent live music – it’s a fabulous, foodie day out for the whole family! The pinnacle event in the British agricultural calendar, the Royal Welsh Show, will be held on 23 - 26 July 2018 at the show-ground in Llanelwedd. An exciting four-days of livestock competitions, with entries traveling from far and wide to compete. The show has something to interest everyone through its wide range of activities. These include forestry, horticulture, crafts, countryside sports, shopping, food, and drink. There is a 12-hour programme each day of exciting entertainment, attractions, and displays. Weston Air Festival Weekend Weston Air Festival includes thrilling air displays, military exhibitions, arena performances, fun fair rides and a variety of activities and refreshments – great fun for the whole family! The action-packed flying programme will take place over two full afternoons on Saturday and Sunday. The astonishing Red Arrows will be joining us, we’ll also be joined by the iconic Battle of Britain Memorial Flight, Spitfire, Catalina Flying boat, RAF Typhoon and much, much more. All air displays are subject to change depending on weather conditions and operational commitments that could take the military displays elsewhere at short notice. Bath Christmas Market Looking for a truly fantastic festive shopping experience? Look no further than the award-winning, beautiful Bath Christmas Market. Each year the centre of Bath is transformed into a magical Christmas shopper’s paradise, as 170 chalets packed full of gorgeous Christmas gifts line the streets surrounding the Roman Baths and Bath Abbey. As you’re not driving, why not indulge in a glass or two of mulled wine! The largest authentic German market outside Germany and Austria and the centrepiece of the city’s festive event calendar returns to Birmingham each year in mid-November. Explore over 180 stalls selling gifts, jewellery, decorations, handmade toys, delicious German fare and of course the ever popular Glühwein! Housed in gorgeous wooden chalets which create a sense of magic and wonder, Cheltenham's Christmas Market pops up under the Christmas lights on the Promenade. Enjoy festive shopping, food, and drink in a unique Christmas Market atmosphere. Cirencester Sparkles Advent Festival & Lights Switch on Cirencester Christmas Market ensures a high quality, eclectic mix of gifts, produce, craft and clothing. There’s live music, entertainment and fair rides with plenty of local food and drink on offer. The climax is at 7 pm when the local celebrity flicks the switch and on come the Christmas lights followed by fireworks from the Church. We leave for home after the fireworks. Ludlow Medieval Christmas Fayre & Christmas Lights switch-on The Best Medieval Show in the Land! Over 100 stalls of gorgeous goodies and a jam-packed programme of entertainment! Eat, Drink and Be Merry! Hog roasts and hot chocolate, mulled wine and sweet treats, tickle your taste buds with delicious delicacies and seasonal fare! More mirth and merriment than ever before! It is a great day out for all the family with a range of market stalls selling many festive different products in a picturesque Cotswolds setting. Positioned on the Roman-built Fosse Way, Moreton-in-Marsh is a town steeped in history. Complete with chocolate box houses and meandering streets, it’s the perfect place to explore for a taste of quintessential Cotswold life. £27	£25 £24 Travel Direct on all trips - Making more of your leisure time! Oxford Christmas Market The city of dreaming spires will be filled with festive joy - the sound of choirs, market traders offering unusual and handmade gifts, colourful decorations bright wooden stalls and the aroma of mulled wine drifting in the air. A visit to the Oxford Christmas Market is a truly magical Christmas experience. Stratford-upon-Avon Victorian Christmas Market This will be the third of what is now an annual (and award-winning) event taking place in the town centre. The Victorian Christmas Market is a themed event with stall holders wearing Victorian outfits. There will be entertainment throughout the town; a stage in Henley Street will host a programme of performances. There will be a traditional funfair, which will include a carousel situated at the bottom of Wood Street and on the Rother Street market area. (A mystery day trip to a festive market town with a Christmas feel) We all love a bit of Christmas fun-shine, so why not join us on our Tinsel Tuesday – a great price day out to Christmas market, where you can immerse yourself at leisure in the shopping, food and drink experience topped off with plenty of festive atmosphere. We’ll let you know where we're going on the day! *Price is based on 2 adults sharing a room. Extra adult price is for 3rd and 4th adult sharing with 2 adults 1 child price (2 - 11) can be applied when sharing with a minimum of 1 adult, 2 child prices (2 - 11) apply when sharing with 2 adults. Pick-up Points Why not start your day trip by letting us make your pick-up as easy as possible? Simply choose a pick-up most convenient for you... see below for a list of options. For more information on where to find your local pick-up point please call our travel experts or see our website. 10. 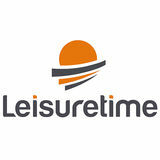 Leisuretime reserves the right to alter published prices as a result of supplier price increases. When you have finished with this brochure, please recycle it or pass it on to your friends and family. You can also view our brochures online at leisuretime.co.uk and order a digital PDF version to be sent directly by email.